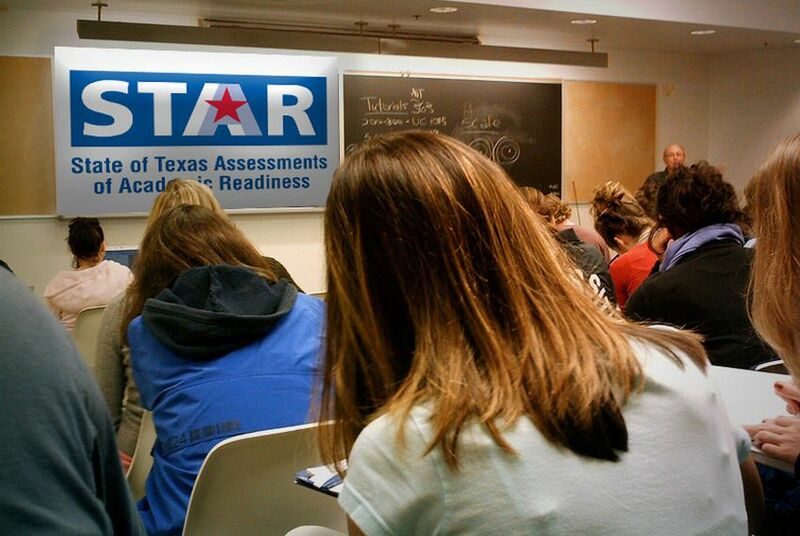 Two years after software problems rendered results on the statewide STAAR exam unusable, students taking the test Tuesday reported more technical problems. Texas students taking a critical standardized test on Tuesday were confronted with technical problems — again. Teachers told The Dallas Morning News that some students were temporarily kicked out of the testing software while taking the STAAR exam. More than 100,000 students were taking the test at the time, but it’s not clear how many were affected, since the disruption was scattered across the state, Texas Education Agency spokesperson DeEtta Culbertson said. Theresa Treviño, president of Texans Advocating for Meaningful Student Assessment, which has lobbied against high-stakes testing in Texas, said the glitch affected students at more than a dozen schools across Texas. "It didn't appear that students lost any of their responses," Culbertson said. But the issues on Tuesday recall a disaster in 2016, when computer problems statewide affected more than 14,000 tests. Education Commissioner Mike Morath ultimately scrapped the results for fifth- and eighth-graders. Students in those grades generally have to pass the STAAR reading and math tests in order to move on to the next grade. If a student doesn't pass on the third try, he or she cannot advance to the next grade unless a committee of his or her educators and parents unanimously agrees to promote the student. Correction: This story has been updated to include details about how a student can advance to the next grade without passing the STAAR exams.